Two wonderful stepchildren, Sheri and Ryan. I left Clarks Summit for Oklahoma, off to the Army, then back to OK, and then to Wyoming. I've been a soldier, a teacher, and a professor - mostly. 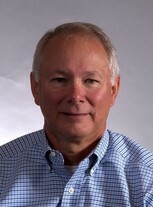 I completed a doctorate at the University of Wyoming in 1988, and that propelled me into the professorate, and great years in Idaho and then Colorado. In May 2017 Sue and I moved back to Idaho full-time. For the last 5 years we had been splitting time between our home in Colorado, where I was on business faculty at a state university, and our home in Eagle, Idaho, where we have long planned to be. Colorado was good to us but Idaho has become our home. Eagle is a small, boutique community just outside Boise, the state capital. In October (2017) my new leadership book launched - "Hard Truths," and I am speaking and training business and government leaders on it. I golf and fish, and live in a great place for it. Sue and I love to travel to the Oregon Coast, and south to Santa Fe, NM. Oh gosh, baseball, band, bands, dances, there is so much to remember. Michael Tomlin has a birthday today. Michael Tomlin updated his profile. View. Michael Tomlin changed his profile picture. Michael Tomlin posted a message. Happy Birthday Frank, and congratulations on the new grandbaby. I hope to see you Summer of 2018 for the reunion. Michael Tomlin changed his "Now" picture. Mike (the Curve) Tomlin today. "I think I've lost my glasses...they must be with my hair!" 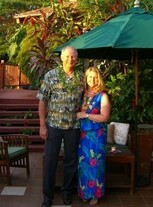 Me and Sue in Maui, for our son's wedding.